For beginning musicians, Alfred's Easy series is the fast track to developing a repertoire of well-known and fun-to-play songs, while more experienced players will find an excellent resource of favorite songs. The Easy Hits Ukulele format provides melody, chords, and lyrics for easy "strum and sing" performance - plus suggested strum patterns and TAB for any integral instrumental figures. 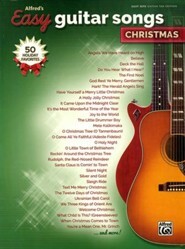 This Christmas edition features 50 holiday favorites including "Silent Night," "The Twelve Days of Christmas," and "Ukrainian Bell Carol." 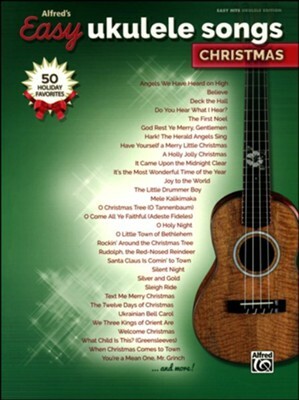 I'm the author/artist and I want to review Alfred's Easy Ukulele Songs: Christmas, 50 Christmas Favorites, Easy Hits Ukulele.